Florida State University Alumni Virginia Cook graduated in spring 2018 with a Bachelor’s Degree in Biological Sciences and a Minor in Chemistry. Early in her time at FSU, Cook joined the Phi Eta Sigma National Honor Society leadership council. With an interest in becoming more involved, she joined the executive board in spring 2016 as the co-chair for membership drive, and later remained on the board as the social events chair. During the 2017-2018 academic school year, she was elected president. Cook, a native of Venice, FL, became interested in working with animals, especially cats, at a young age. Her passion to assist and engage with animals is what keeps her motivated. 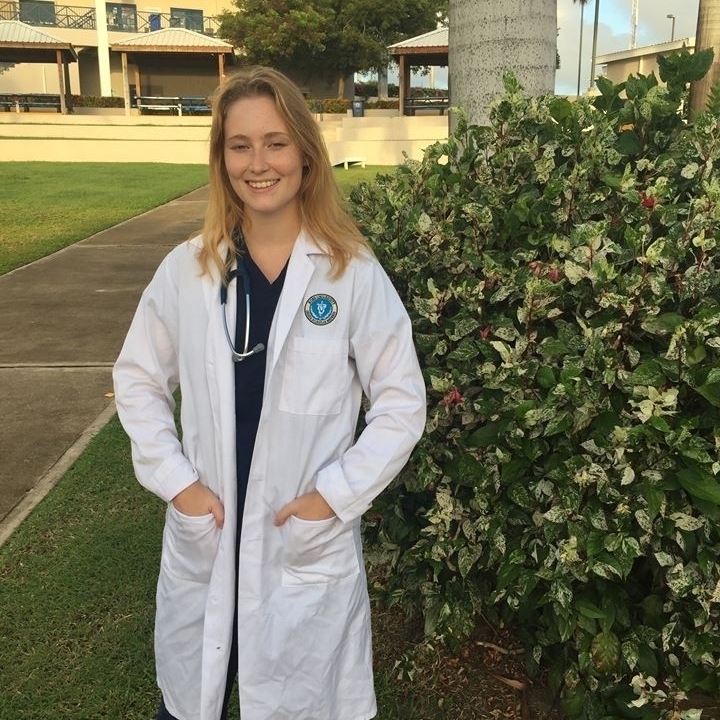 Cook has continued her studies at Ross University of Veterinary Medicine in St Kitts and Nevis. She is a member of the surgery club, in which she performs wet labs like suture practice and scrub in practice. Also, Cook is a member of the diagnostic imaging club where she ultrasounds cows for farmers to determine if they are pregnant. Her rigorous schedule ranges from day to day, and the amount of work and time she puts in is endless. After classes, she goes home and continues to study for a few hours. While her veterinary studies are going along great, Cook is still adapting to a new environment, which is distinct from that of the United States. Virginia Cook was an active and successful member of Phi Eta Sigma, and continues to proudly represent the honor society.